The easiest way to get started in mobile marketing is by letting your opt-in database know about your company news, products and specials with a simple SMS. To get instant help for building your opt-in database of Quality Leads™ please also look at our Mobisite Starter Kit. 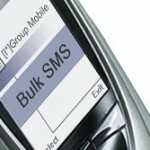 So using SMS to reach your customers is really a no-brainer. You too can now benefit from this amazing, most powerful automated communication tool with the Mobile Marketing Winner$ SMS Starter Kit. Click HERE to view our country coverage and credit consumptions. Apart from our low-low prices, our roll over SMS credits might be the best feature of this unbeatable offer. You simply decide on 500, 1000, 2000 or 5000 monthly credits and any unused credits roll over from one month to the next. Your unused credits only expire after 12 months or when you cancel your subscription! Once you click the "Buy Now" link, you are taken to a form page where you fill in your details and chose the SMS credit bundle you would like to purchase. After you filled out the order form and click "Submit" you are taken to a secure PayPal payment page. Once your account is activated we set up your SMS client online interface with your personal access code, and you can simply log on to send out SMS's. Limited Offer from ONLY US$ 25 a month!